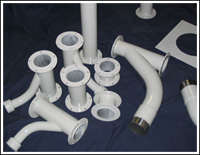 Convair Tech can custom fabricate blowers for your special applications. We build from your drawings or design a blower based on your output requirements including high pressure, material handling, and material chopping blowers. Call us at 973 589 2657 or CLICK to Size a System!